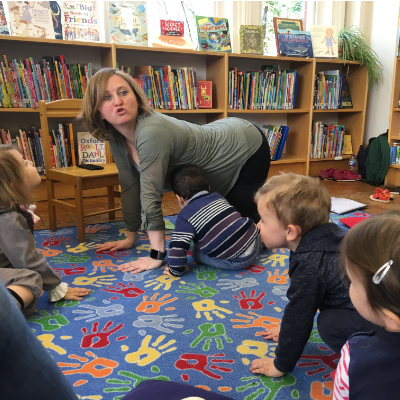 In 2019 Sytske has succesfully completed the YogaBeez Childrens Yoga Teacher Foundation Training and is now offering childrens yoga classes in North London. Having regularly welcomed children in adult teaching sessions, we are now adding classes specifically for children from 2-12 yrs. We are actively looking for North London nurseries and primary schools keen to include yoga, mindfulness and meditation. This could be in the form of regular classes (30-60 mins) or specific workshops as part of Healthy Living projects. 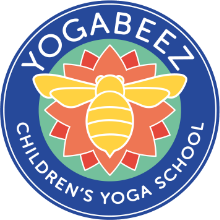 How Many Yogis will be following the unique YogaBeez method, which educates, empowers and exercises the whole child – stimulating physical, intellectual, emotional, social and spiritual wellbeing. In addition we can support home schooling education, run after school clubs and even organise a yoga themed birthday party. Please enquire via the contact form. This summer term we are running regular after school yoga classes for children (5-9 yrs) at Highgate Library (upstairs). There will be 10 places and 10 sessions, 2 blocks of 5 Tuesdays (though first class starts on a Friday, 26 April). Please contact us for more information or discuss younger / older children joining the group. In addition we will continue with our taster sessions at Highgate Library, please check the booking calendar for dates.